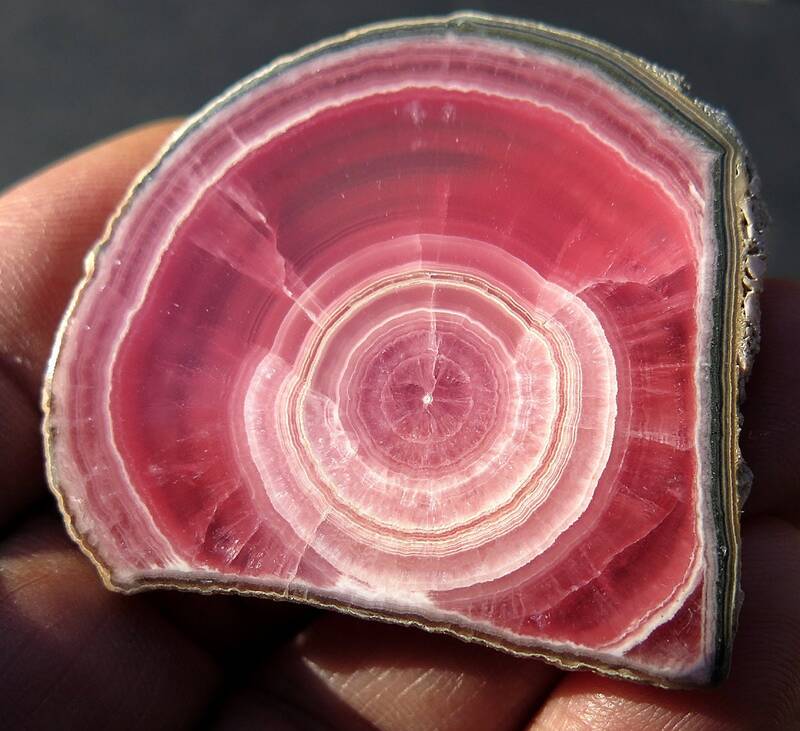 A cut and polished 2 side rhodochrosite. 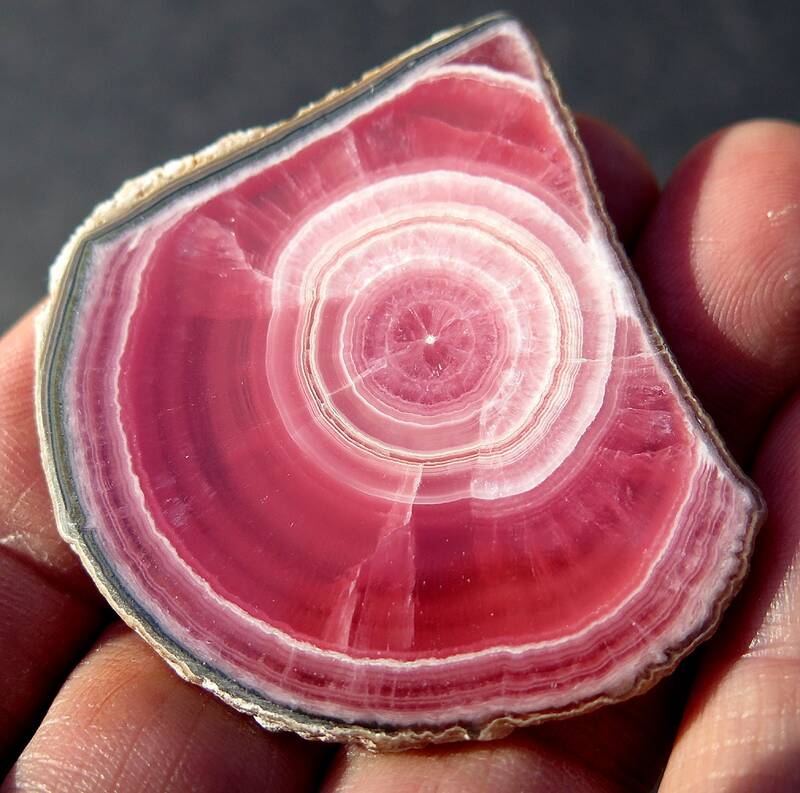 This is not a piece, it's a complete stalactite slice. 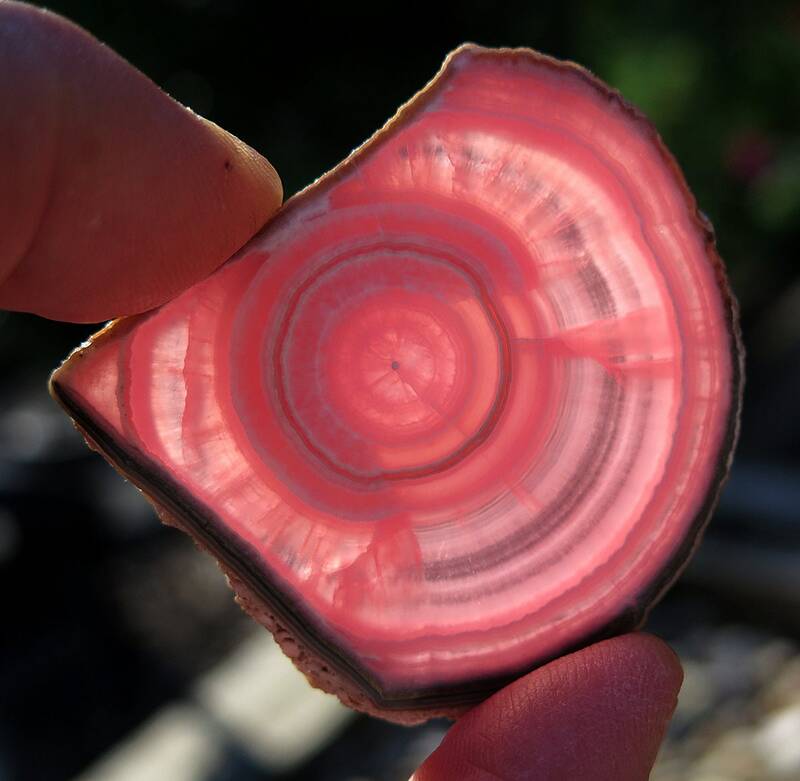 Absolute Rich color, deep blood red, high quality Rhodochrosite stalactite slice. The slice is complete with it's outer rind intact all around. I offer quality not broken pieces. 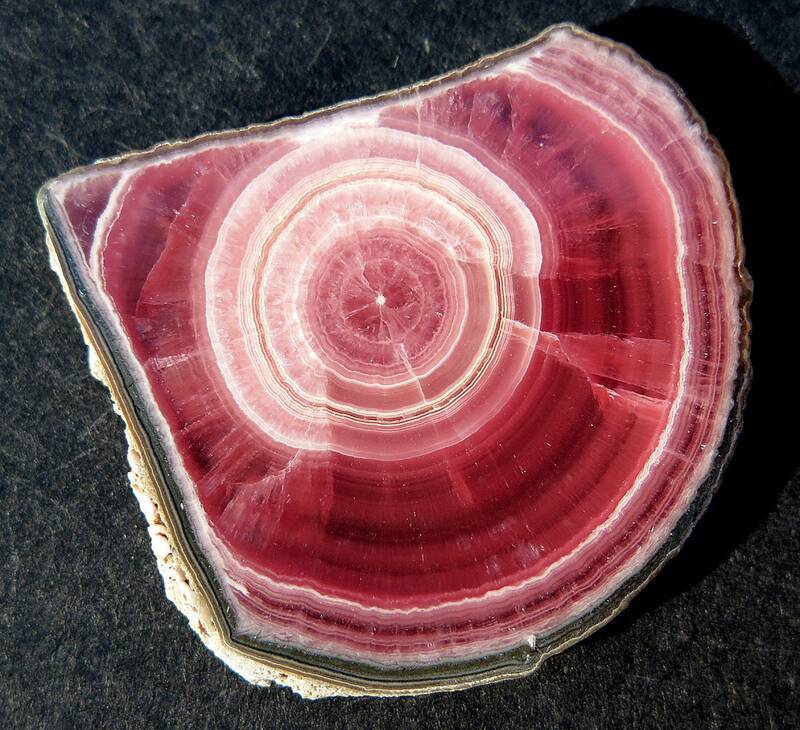 The shape is natural as the stalactite formed in this shape. My photos are true to the actual piece. 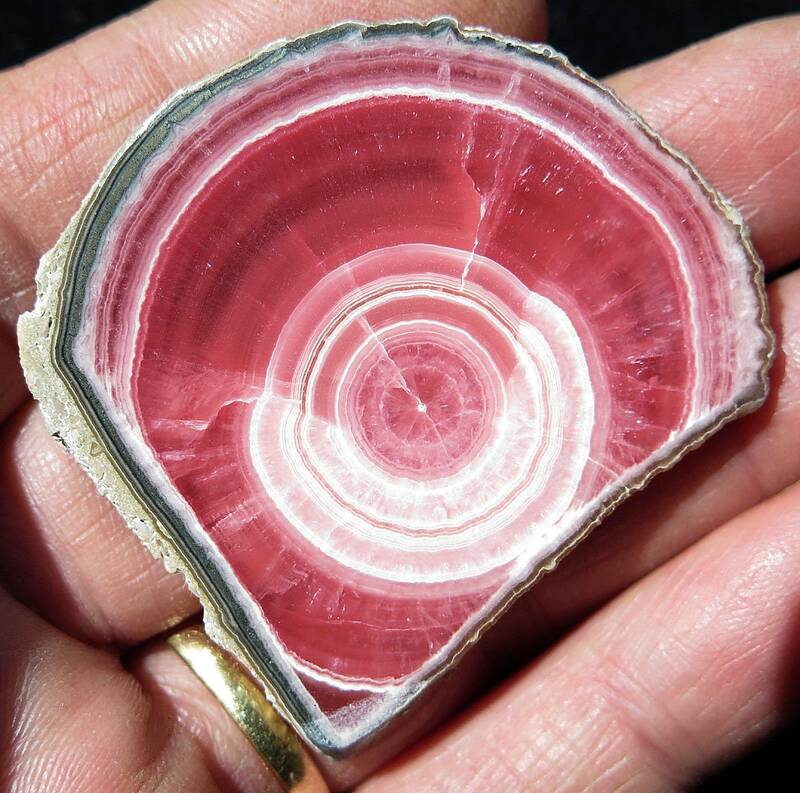 Rich and translucent it weighs 24.3 grams and measures 2 inch across by a thick 3/16 inch. 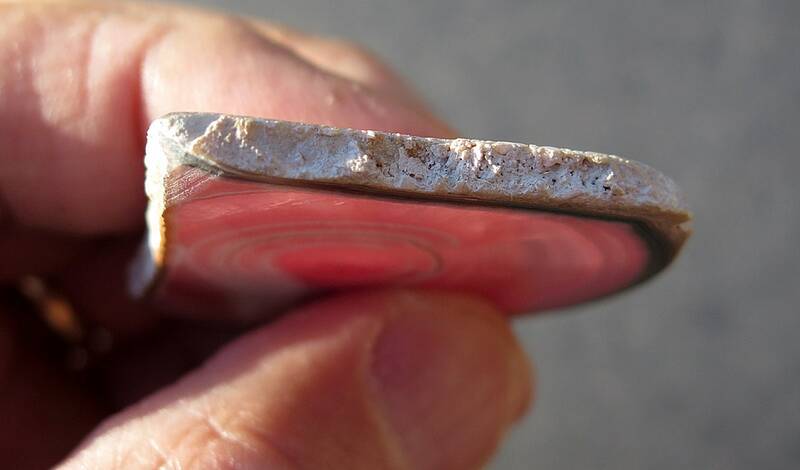 The piece is polished to mirror like finish both sides and is even thickness. 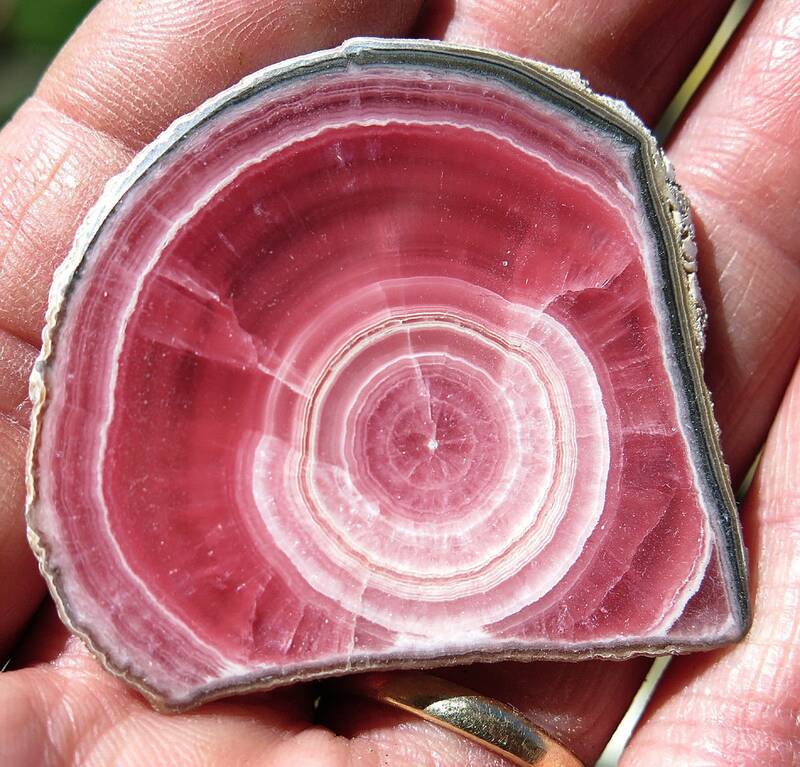 Mined in the 1960's at Capillitas, Argentina and put in storage for years. 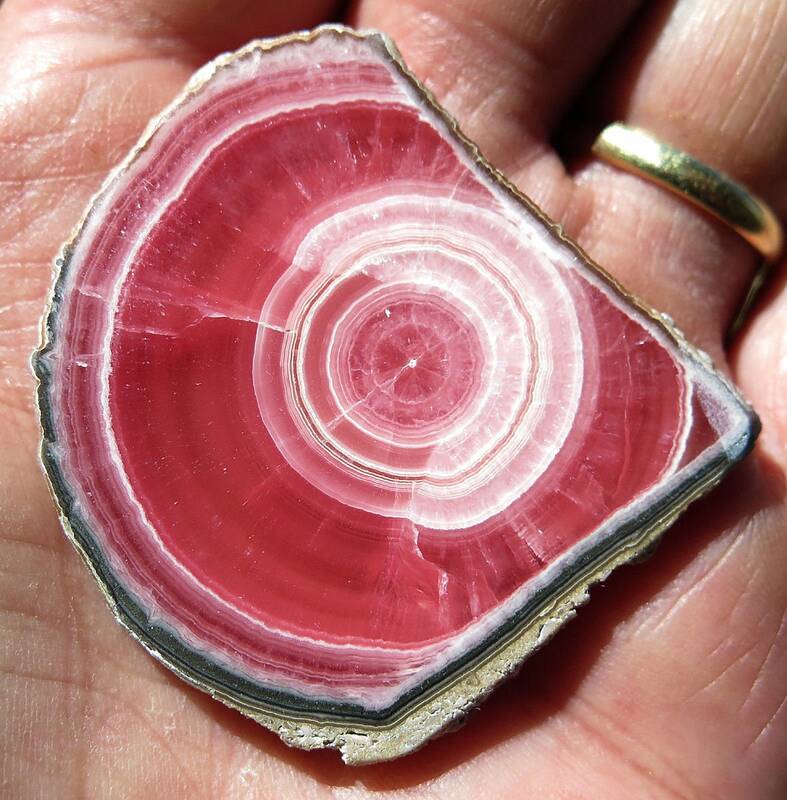 Want a real quality rhodochrosite? Own it.